Chief Bruce Linton joined the ranks of the Tukwila Police Department in August 1994. He spent the first several years assigned as a patrol officer conducting proactive patrol throughout the city. In 1997, he joined the department’s Anti-Crime Team where he served as a bike/community police officer. In 1999, he served as a narcotics detective on the Anti-Crime Team where he worked on street-level narcotics interdiction. He was promoted to sergeant in 2001 and later to commander in 2008. Chief Linton was promoted to Deputy Chief in February 2012. On October 16, 2017, Chief Linton was sworn in as the Chief of Police by Mayor Allan Ekberg. As sergeant, he supervised a patrol team from 2001-2004, and during that time, spearheaded several initiatives to reduce crime within the city. Most notably was the research, drafting and proposal of the Stay Out of Areas of Racing Ordinance, focused on mitigating the impacts of street racing in the City of Tukwila. In 2005, he supervised the Crime Prevention section, drafted and implemented the new General Orders Manual and navigated the department through the Washington Association and Sheriffs and Police Chiefs (WASPC) Accreditation Process. Chief Linton temporarily left the ranks of the Tukwila Police Department in January, 2007 to serve our citizens in another capacity. He commanded a Joint Aviation Task Force (Army and Navy) where he and his team of 300 soldiers and sailors, with a compliment of 22 aircraft (rotary and fixed-winged), conducted battle-field circulation, senior leader air-movement and medical evacuation operations in Kuwait and Southern Iraq. He was awarded a Bronze Star for his service. He continues his service at the rank of Brigadier General while assigned as the Brigade Commander for the 66th Theater Aviation Command, Washington Army National Guard. Chief Linton was promoted to commander in 2008. While assigned as patrol commander, he served as the Tukwila Civil Disturbance (CDU) Commander on the Valley Civil Disturbance Unit (VCDU). Chief Linton’s professional Law Enforcement Education consists of the Basic Law Enforcement Academy; the First Line Supervisors Course and Certification; The Middle Manager’s Course and Certification, the IACP Leadership in Police Organization Course, along with other job specific courses. His civilian education consists of a Bachelor of Science Degree in Aeronautical Studies from Embry-Riddle University, a Master of Arts Degree in Organizational Leadership from Chapman University and a Master of Science Degree in Strategic Studies from The U.S. Army War College. Deputy Chief Eric Drever entered law enforcement in 1992 as a reserve police officer with the Mukilteo Police Department. In 1994, he was hired by the Tukwila Police Department, where he looks forward to spending the remainder of his law enforcement career. In 1998, he was assigned to the Department’s Anti-Crime Team as a bike officer, and later in 2000, as an Anti-Crime Team narcotics detective. In 2002 he was promoted to sergeant. As a sergeant he supervised in Patrol, the Anti-Crime Team, and the Major Crimes Unit. He was promoted to commander in 2009, and was the Investigations commander for the Department. Deputy Chief Drever was promoted to Deputy Chief on August 31, 2018. During Deputy Chief Drever’s career, he has worked on several teams and projects for the Department, including E.V.O.C. (Police Driving) Instructor, the Tukwila Police Explorer Program, Department Historical Committee, and the Departments Crisis Communications Team. He is a graduate of the FBI National Academy and the Leadership Institute of South Puget Sound. He is also a graduate of the University of Washington, where he earned a Bachelor of Arts in Sociology and specialized in the study of deviant behavior. Deputy Chief Drever prides himself on being an active participant with the communities and organizations that he is involved with, and has volunteered his time with several organizations. 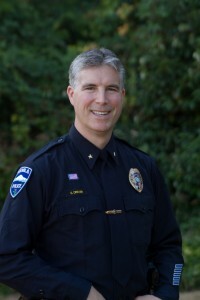 He has volunteered as an Executive Board Member of the Tukwila Police Officer’s Guild; Chairman of the Liberty Ridge Homeowners Association; Treasurer – Fraternal Order of Police – Commanders Tukwila; and currently holds the office of President on the Board of Directors for the Pediatric Interim Care Center. He brings his leadership experience from each of these organizations to his daily work and effectively applies this knowledge to the community outreach projects that he is involved with for the City of Tukwila. Deputy Chief Drever is proud to be a part of the Chief’s shared vision, “A world-class police department delivering professional law enforcement service.” He is committed to the Department and the citizens, providing excellent, professional service and making Tukwila a better place to live, work, and play. Commander Jon Harrison began his career in law enforcement in 1993 with the Tukwila Police Department. He was appointed as a Field Training Officer in 1995 and trained numerous officers until he was selected for the Traffic/Motorcycle Unit in 2001. He served as a motorcycle officer until 2002 when he was promoted to sergeant. He continued service as a patrol sergeant until 2003. Commander Harrison was appointed as the Traffic Sergeant in 2003 and was in charge of the traffic unit until October 2011. In 2011, he was selected as an acting commander and was officially appointed to the current rank in October 2012. Commander Harrison is the son of an Army Officer and was born in Hawaii. He spent the majority of his youth in Germany and has visited over 20 countries. He looks forward to continuing to serve the citizens of the City of Tukwila and developing both strategies and partnerships to enhance the safety and security of both the visitors and citizens. 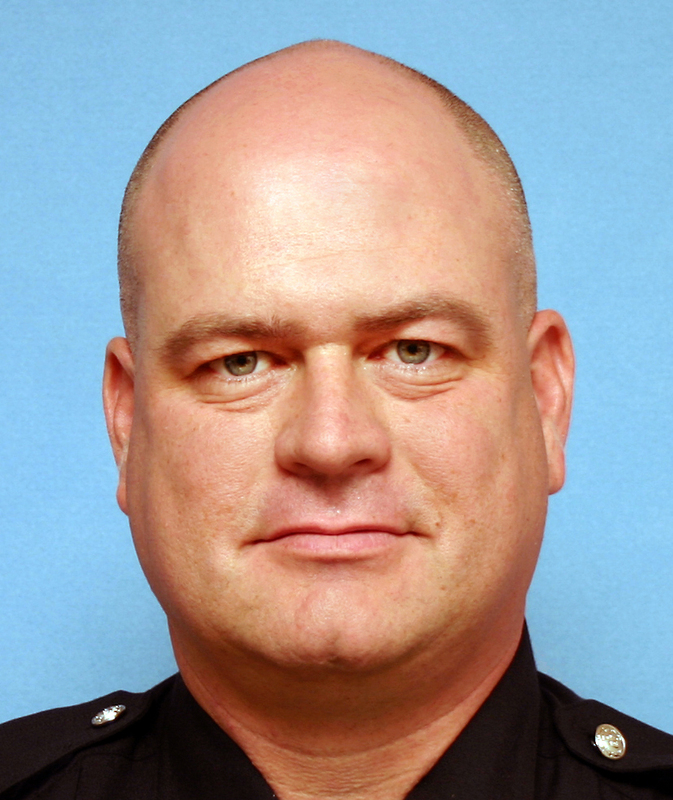 Commander Todd Rossi entered law enforcement in 2000 as a police officer with the Tukwila Police Department. Throughout his years of service to the Department, he has served as a Patrol Officer, Field Training Officer, a member of the Valley SWAT team, the Tukwila Police Honor Guard, and a police boat captain. In 2012, Commander Rossi was promoted to the rank of Sergeant, where he supervised patrol squads in the Patrol Division, along with the K9 Unit. After 15 years in the patrol Division Sergeant Rossi moved to the Professional Standards Unit where he served as the Professional Standards Unit Sergeant, and later as the units Acting Commander. He was promoted to Commander in 2017, and reassigned to the Patrol Division. Prior to joining the Tukwila Police Department, Commander Rossi served four years in the United States Army with the 2nd Battalion 75th Ranger Regiment at Fort Lewis. In 1994, he served in Haiti during Operation Uphold Democracy. After leaving active duty, Commander Rossi remained in the US Army Reserve and in 2008 he deployed to Iraq for Operation Iraqi Freedom as a Civil Affairs Team Sergeant. He continues his service as the Command Sergeant Major for a battalion within the 104th Training Division at Joint Base Lewis McChord. Commander Rossi is currently the Patrol Division Commander overseeing patrol operations. He is proud to serve the Tukwila community and the members of the Tukwila Police Department. He is committed to supporting the Chief of Police in fulfilling his Department vision of a world class police department delivering professional law enforcement service. Commander Rossi’s professional Law Enforcement Education consists of the Basic Law Enforcement Academy; the First Line Supervisors Course and Certification; the IACP Leadership in Police Organization Course, along with other job specific courses. Commander Rossi is also currently attending the United States Army Sergeants Major Academy. Commander Eric Lund started his law enforcement career in 1996 as a police officer with the Tukwila Police Department. During his career, he has served as a patrol officer, a narcotics detective, a field training officer, as well as an Emergency Vehicle Operator Course (EVOC) instructor. In 2009, Commander Lund was promoted to the rank of sergeant, where he supervised patrol squads in the Patrol Division between 2009-2014. Between 2014-2017, he supervised the Traffic Unit. As a sergeant, he also supervised the Field Training Officer program and the EVOC program. Commander Lund held several leadership positions in the Tukwila Police Officer’s Guild, including managing the off-duty program. In July of 2017, he was assigned as an acting commander, overseeing the Professional Standards Unit. In November of 2017, he was appointed to the commander position permanently. 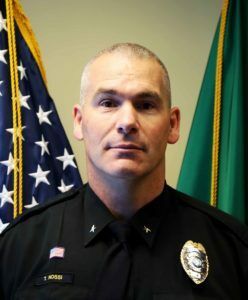 Prior to joining the Tukwila Police Department, Commander Lund grew up in Tukwila and attended Foster High School where he graduated in 1991. 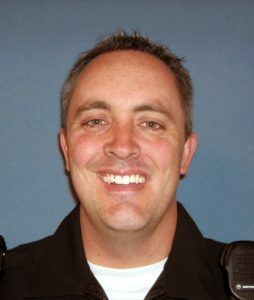 Commander Lund attended Central Washington University and graduated in 1995 with a Bachelor’s Degree in Criminal Justice. 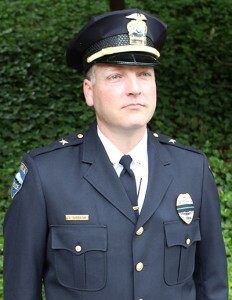 Commander Kraig Boyd entered law enforcement as a Police Officer with the Tukwila Police Department in April of 1996. During that time, he served as a patrol officer, an officer with the Community Police Team, on the Civil Disturbance Unit, and on Valley SWAT. He also developed the strategy for the Community Liaison Officer program to develop relationships of trust between the police department and its diverse community. In 2014 Commander Boyd was promoted to Sergeant and was assigned to Patrol. He then supervised the Tukwila Anti-Crime team while continuing to develop and implement the Community Liaison Program. Commander (Then sergeant) Boyd then was moved to the Community Police Team as a supervisor. He integrated the Community Liaison into that team to work with Community Police Detectives and the School Resource Officer to develop better communication with the community and creative strategies for community problem solving. In November of 2017 Commander Boyd was assigned to an acting Commander position over Special Operations before being permanently promoted to Commander May 1st, 2018. 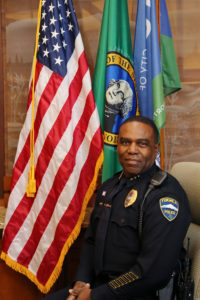 Prior to joining the Tukwila Police Department, Commander Boyd spent 8 ½ years in the US Marine Corps Reserve where he was deployed to the Western Pacific during Operation Desert Storm in 1990-1991. Upon his return to the U.S., he attended Brigham Young University where, in 1995 he earned a Bachelor of Arts Degree in Political Science with an emphasis on International Relations. 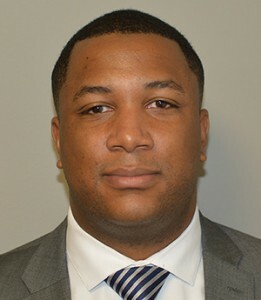 Senior Manager Leon Richardson joined the Tukwila Police Department in August 2015. He brings with him a very diverse background having served as a senior executive with Macys, a supervisor with the Port of Tacoma and an Army Officer. Senior Manager Richardson continues his service in the army reserves as a Major. In the military, he is currently qualified in the fields of Military Intelligence, Government/Public Relations and Military Policing. Throughout his career in the military he has served in many different capacities including but not limited to HR, Records, operations and intelligence. In 2012 Senior Manager Richardson deployed to Eastern Africa to serve our country. He served as the Chief of Intelligence and plans and Company Commander. He was responsible for the planning, coordination and providing of intelligence on 10 countries. He developed plans to meet Department of Defense and Department of State objectives. Senior Manager Richardson currently oversees the Support Operations Division. He is proud to be a part of the Chief’s shared vision, “A world-class police department delivering professional law enforcement service.” He is committed to the Department and the citizens, providing excellent, professional service and making Tukwila a better place to live, work, and play.